A secret cell at the Greek finance ministry hacked into the government computers and drew up elaborate plans for a system of parallel payments that could be switched from euros to the drachma at the “flick of a button” . The revelations have caused a political storm in Greece and confirm just how close the country came to drastic measures before premier Alexis Tsipras gave in to demands from Europe’s creditor powers, acknowledging that his own cabinet would not support such a dangerous confrontation. 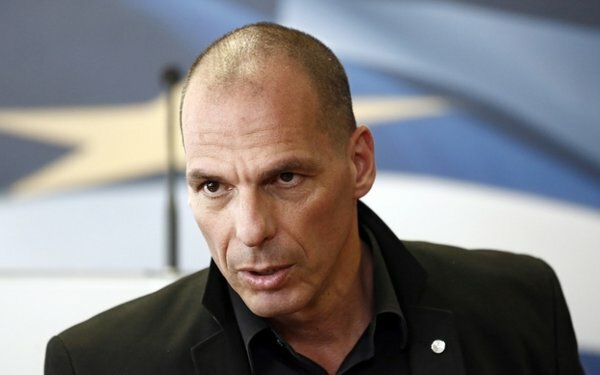 Yanis Varoufakis, the former finance minister, told a group of investors in London that a five-man team under his control had been working for months on a contingency plan to create euro liquidity if the European Central Bank cut off emergency funding to the Greek financial system, as it in fact did after talks broke down and Syriza called a referendum. Mr Varoufakis told the Telegraph that the Mr Schauble has made up his mind that Greece must be ejected from the euro, and is merely biding his time, knowing that the latest bail-out plan is doomed to failure. Mr Varoufakis recruited a technology specialist from Columbia University to help handle the logistics. Faced with a wall of obstacles, the expert broke into the software systems of the tax office - then under the control of the EU-IMF ’Troika’ - in order to obtain the reserve accounts and file numbers of every taxpayer. “We decided to hack into my ministry’s own software programme,” he said.